Conditioning for consistent and healthy growth as well as animal vitality begins even in the early stage of piglet production. The sensitive digestive system of the piglets and the performance objectives mean the requirements for feed are correspondingly high. Even in the defining rearing phase, JOSERA premium products with the Protectin active ingredient package provide your animals with all important components for healthy and consistent development. Thanks to its natural substances, Protectin develops an effective protection effect to maintain the health of your animals and utilise performance reserves. 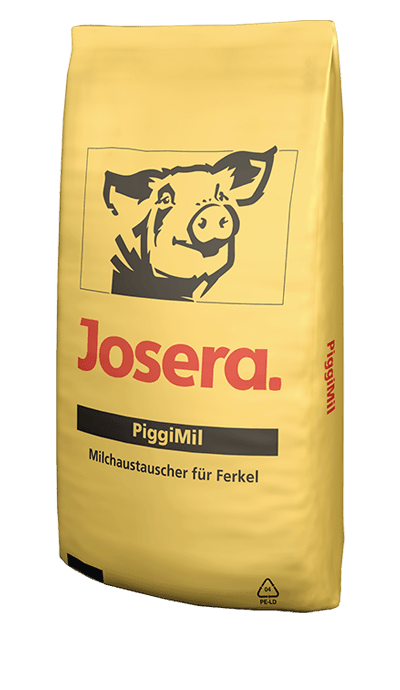 JOSERA PiggiMil is a high quality milk replacer for the best results thanks to excellent ingredients.